Got a question about our supply of masonry materials that our product pages couldn’t answer? Take a look below for some of our most frequently asked questions! In terms of clay building bricks that you would typically see built on houses, no, we do not carry that kind of brick. We carry fire brick (for the inside of fireplaces), solid and hollow concrete building blocks, natural stone veneer, and cultured stone veneer, as well as stone panels. You can see some of our Natural Masonry and Cultured Masonry products here. Can I get mortar at Madison Block & Stone? Yes, you can! We supply many kinds of mortar and other setting materials that we keep in stock regularly. We also supply various masonry supplies that can be viewed on the Masonry Supplies pages. Click the tab for Products, navigate to Masonry Supplies, and view your desired product by category! Does Madison Block & Stone install stone veneer? Madison Block & Stone does not execute installation of products. However, we do maintain a list of contractors that we commonly work with and sell product to that we will be glad to send our customers upon request. Reach us at the Contact Us page to request it. I’m working with a mason. Can I purchase products at Madison Block & Stone for them to pick up, or could you deliver it? Certainly! We will be glad to help you choose a product, organize payment, and set up delivery or pick up instructions to help your project continue smoothly. If you have questions regarding delivery, head over to the Purchasing & Delivery FAQs page! I was hoping to do this project myself. How do I install stone veneer? We do not guide installations, but we are glad to provide resources to assist in this regard. Many times, our customers consult online guides and videos to ensure that they know the process of installation. In most cases, the companies that supply the stone we provide have installation guides and instructions built into their websites. Natural Stone and Cultured Stone? Is there a large price difference? While we have a very large selection of both types of stone veneer, the price differences for their respective counterparts are not very far apart! Typically, a Natural Stone counterpart will have the higher price, but not too high that it should not be considered for a project. 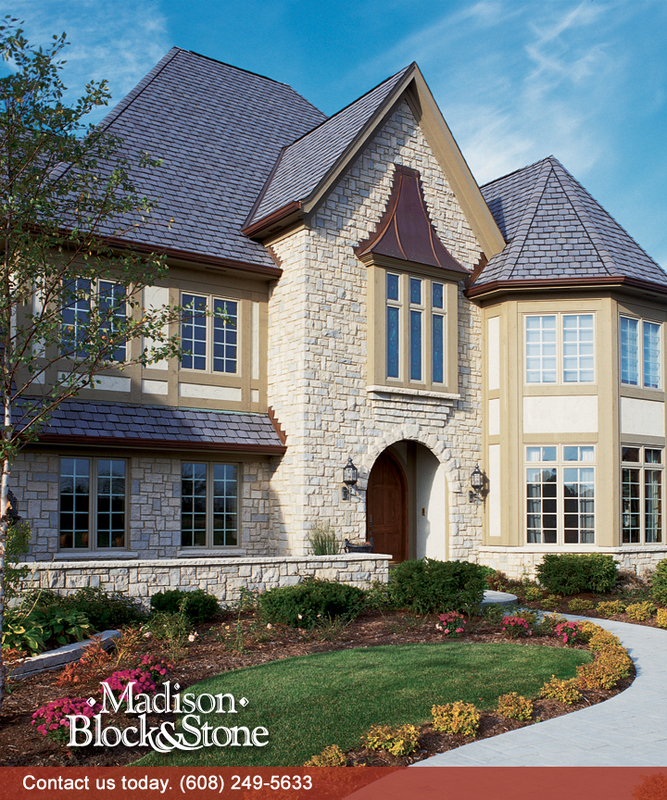 Madison Block & Stone will have a Natural Stone option and a Cultured Stone option to fit any budget. However, we do prefer to quote each project individually. If you would like a price, please give us a call!